Available at all EWS events, the EWS100 is exactly what it says in the name. 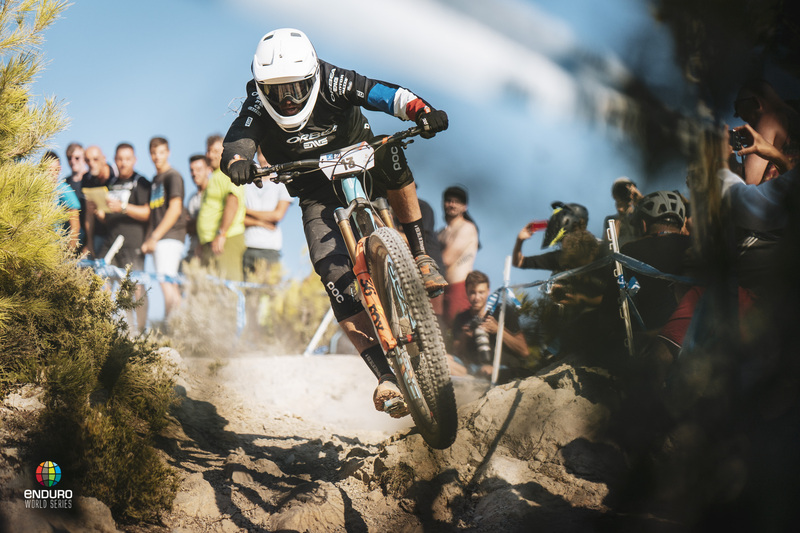 Race the full EWS course on the EWS weekend, with slightly relaxed rules but all the challenges. There's no need for pre-qualification - entry is open to anyone who wants to take part in this ultimate test of rider and bike. But if you want to be on the start line in 2019, first you will need to secure one of these coveted spots. Entries for EWS100 will be offered on a first come, first serve basis. Racers have a specific time window to complete each stage - but no individual pre-assigned start times, fixed start intervals or seeding. Flexible start format allows racers to select / adjust their start position during the day. Pair up with your friends and teammates - even if they are in different categories. Avoid getting stuck behind the same rider for the entire day - overtake a rider and stay ahead of them for the rest of the race. EWS Members are eligible to collect rankings points - so they can secure a spot on the Reserved List and a guaranteed entry into the EWS the follwoing season. Any EWS members registered for the EWS100 who accumulate sufficient 2019 EWS Global Rankings points in advance of the race will be transferred from the EWS100 to the EWS. The EWS100 replaces the Entry Lottery from previous years .